Do you love Toyota? If you do and you’re looking to upgrade your vehicle this year, there are some great 2017 Toyota vehicles out there. Even better, now that it’s the fall, these models are likely to be quite affordable as dealers work to make space for the 2018 lineup. There’s no better time to slide into a new Toyota, but which one? One of these top five vehicles may be the perfect new Toyota for you. While the 4Runner may be one of the older lines of sports SUVs, that doesn’t mean that it’s outdated. With the original hitting the market in 1981, some might discount it. However, since the new generation was introduced in 2009, it’s become a favorite. The 2017 4Runner is definitely designed for off-roading. It features a 4.0 liter V-6 engine that provides you with 270 horsepower. There are a number of different trims available, including the TRD trim that’s designed to go wherever you want. The name “Prius” is practically a synonym for hybrid vehicles since it was the first major name in that category. Toyota has done everything possible to make sure its flagship hybrid is still the top-of-the-line option for those who want to cut down on fuel costs. The Prius continues to set the industry standard for gas mileage and performance. Even better, the price has continually dropped, and the 2017 Prius is quite affordable. It’s hit the top of a number of “best hybrid” lists, so if you’re thinking of going green, you can’t do any better. If you love the Prius, but need a little more space, the Rav4 Hybrid is the solution. There aren’t a lot of hybrid SUVs out there yet, but with the 2017 model of the Rav4, Toyota is already establishing its dominance in this submarket. It incorporates many of the features that make the Prius such a hit, but offers the space of an SUV. You’ll be able to fit your entire family comfortably in the Rav4 and have space for all of your stuff. If you’re looking for an SUV that offers more in the way of luxury and is, without a doubt, ready for an off-road journey, then you need to take a look at the 2017 Land Cruiser. This SUV offers one of the most comfortable interiors, but don’t let that fool you. It’s also one of Toyota’s top SUVs for going off-road. Its V-8 engine provides you with 381 horsepower, giving you everything you need to make it to the campsite or to your next family function. The Corolla line of cars started back in 1966, but like many of the company’s brands, it’s still going strong. What started out as a fairly basic car has evolved in a number of ways, including into a small hatchback. The 2017 Corolla starts at less than $20,000 so it’s quite affordable, too. This year’s model features some redesigns, including new styling and a backup camera that’s standard for all trim options. It may only provide 132 horsepower, but it’s surprisingly quick. It’s fuel-efficient, provides a nice amount of space for the family, and will serve as a nice replacement for the discontinued Scion. 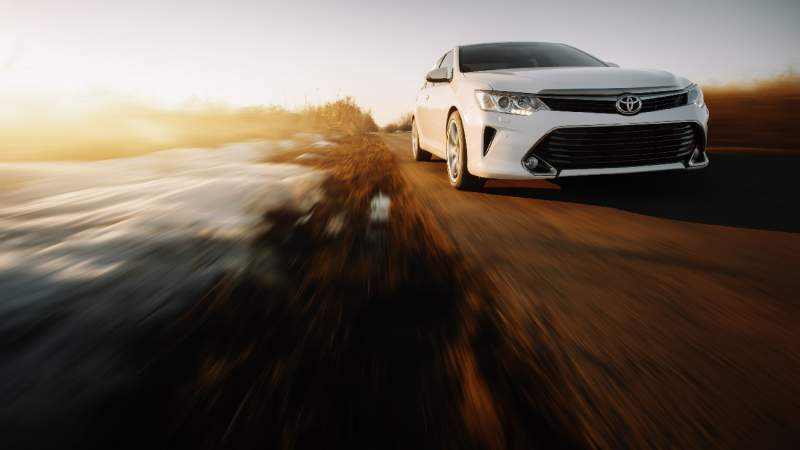 A beloved auto brand, Toyota is a frontrunner with standout vehicles each and every year. Discover the best Toyota for you and your day-to-day life, and enjoy the combined affordability, reliability, and comfort that comes with every one of these top cars.